Advanced EyeCare partners with local ophthalmologists to provide co-management eye care services at our office locations. 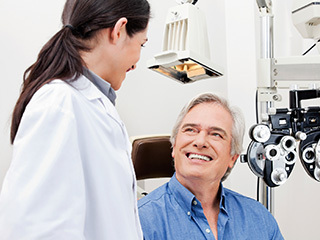 These services include the treatment of cataracts, glaucoma, and retinal disease. Dr. Patrick Butler visits our Carlinville, Lincoln, and Taylorville locations to aid in the management of cataracts and glaucoma. Dr. Ramanath Bhadari and Dr. Aleksandr Kagan provide retinal services in our Taylorville and Lincoln locations, respectively.